Join Bonnie Hunter's Mystery program, Good Fortune, and have the fabrics ready. Let us do the hard part, no searching and choosing fabrics ... we will find them for you. We have a great selection and will choose fabrics in the colors that Bonnie has chosen for her quilt. Each fabric kit includes 14+ yards of fabric.! 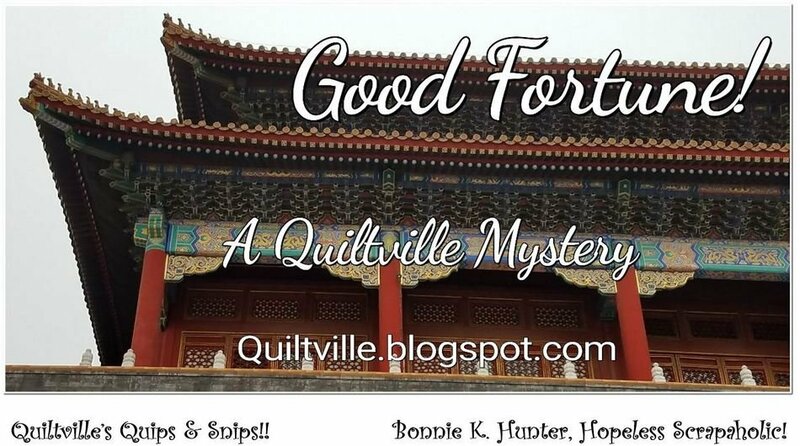 For the pattern, you will need to follow Bonnie Hunter's Good Fortune Mystery. http://quiltville.blogspot.com/2018/10/good-fortunea-quiltville-mystery.html Kits will ship November 16, 2018 in time for the first clue to be revealed on November 23!